The Google Home Mini, an affordable smart product offering by the Mountain View company Google. 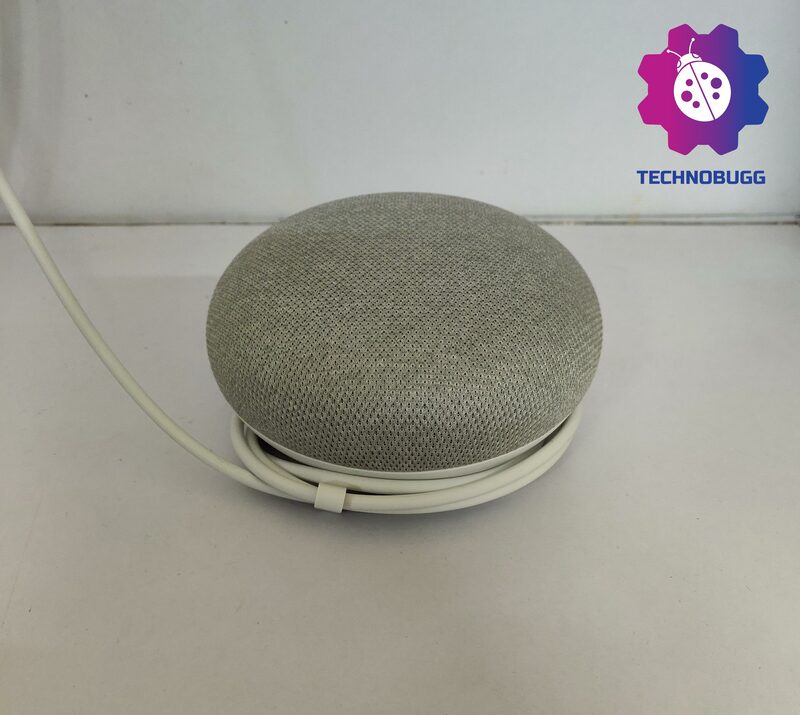 It is a speaker but it can carry out many things which a normal Bluetooth speaker cannot able to do, because the Google Home Mini is powered by the virtual assistant of Google i.e. Google Assistant. The Home Mini is capable to carry out all of your commands and it looks very small but it is awesome and mighty. 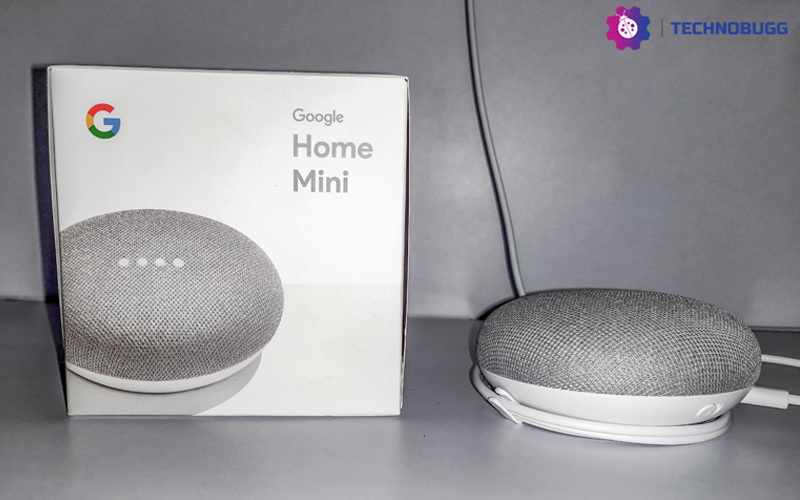 Well, in this article I will review the Google Home Mini and try to solve all kind of doubts and questions which a user may have in mind before purchasing it. 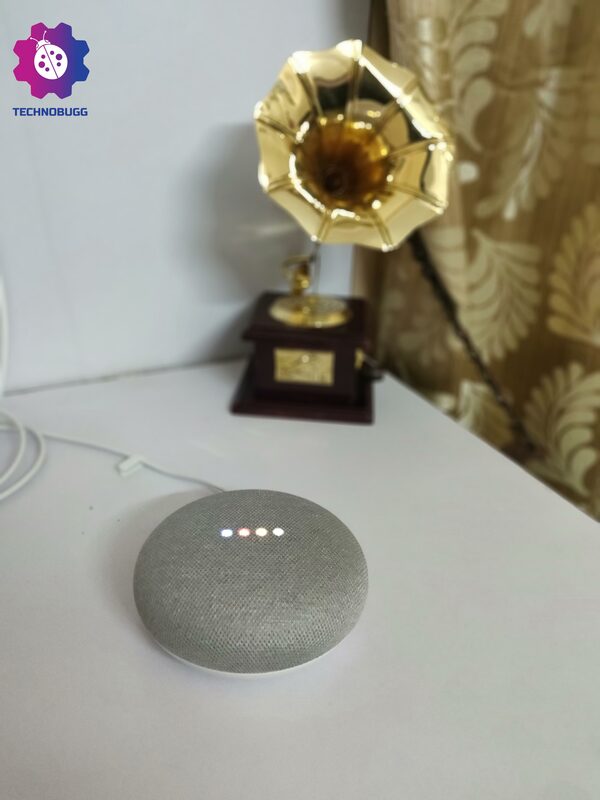 As I said above, the Google Home Mini is equipped with the Google Assistant and that’s why it will help a user to solve any kind of doubts by giving answers instantly. 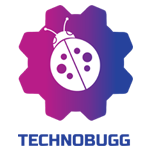 With this Google product, you can able to control other smart products of your house, for example, if you want to turn off the light (if you have a smart bulb) then you can ask to the Google Home Mini and it will do it for you, and there are many other things which you can able to do with your voice commands. So, without wasting any time let’s start the detailed review of this product. 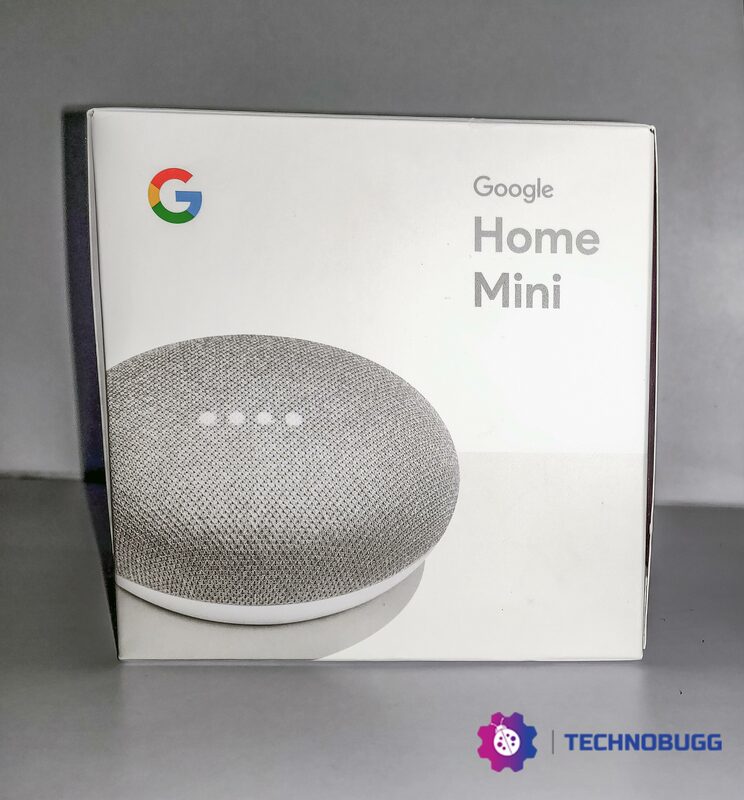 In the package, you will get the small but awesome and mighty Google Home Mini along with the user guides and the power cord, which you need to plug-in to play with it, as the Home Mini doesn’t have the battery. That said, the tech giant Google has done good branding and packaging for this small product. The Google Assistant powered smart speaker has a pretty cool design and it is very compact too, you will find the fabric-texture on the top of this device with the matte plastic on the bottom half. In the middle of the device, you will find four LED’s which will illuminate to show that your action is carried out. This product does not only have the ability to listen to your voice command but you can also touch it to carry out few things like play, pause by tapping on it or you able to adjust the volume by placing your finger on the device to the left and right sides. 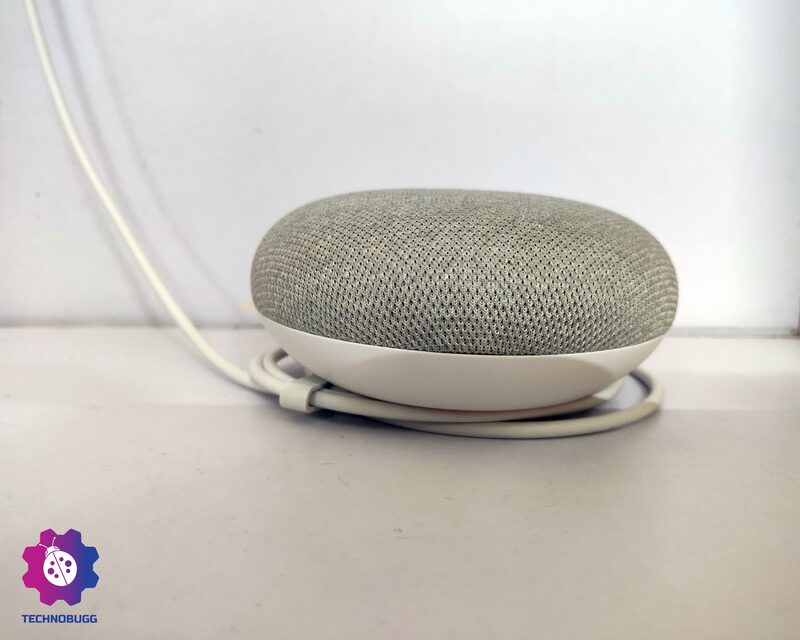 Coming to the middle part of the device, you will find a USB port where you need to plug in the cable which you get in the box to play with the Google Home Mini and a microphone switch which will allow you to turn off to make the device dumb. At the bottom side of the device, you will find a circular rubber mat that will give a grip and you can able to place the device on any surface. And there is a button which will allow you to reset the device. 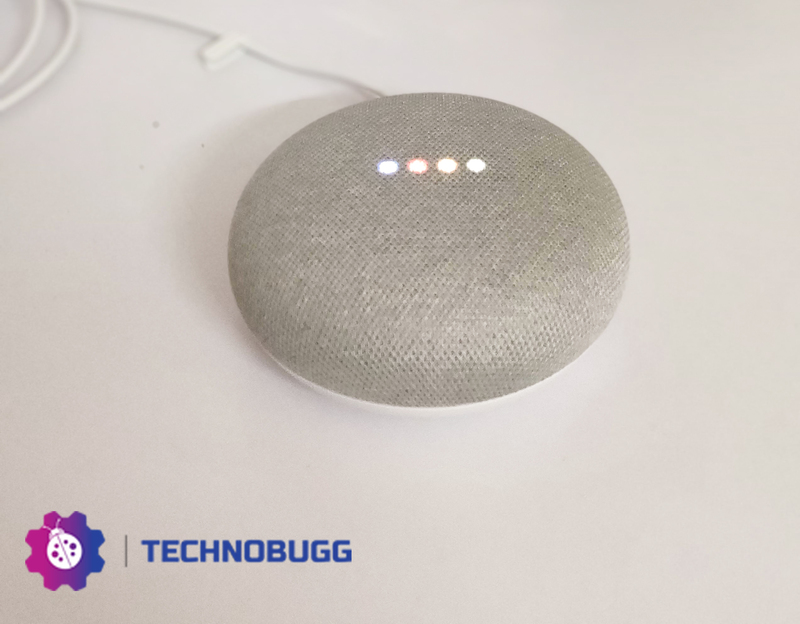 Having said that, before you start talking with Home Mini, you need to connect the device with the Google Home app and that process can be done quickly and it will let you know the way it works and resources that provide instant access to a wide variety of free audio content. That said, if you want to use the Home Mini as a set of Bluetooth speakers, then you can do the pairing settings. The performance is the most important, and the success will depend on the performance. 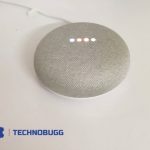 The Google Home Mini gives a really amazing performance, you can able to talk with the Google Assistant powered smart speaker from anywhere in your home or office. You need to shout loudly if you are in a different room and you can also talk gently with some feet away and it will carry out your commands. The Google Home Mini has really cool mics which can able to listen to your voice without coming close to it, you can ask the latest news or ask the home Mini to play music or even it will allow you to cast videos from YouTube via chromecast or favorite shows from Netflix to the big screen (if you have a smart TV). The device will also offer you traffic updates and weather forecast, it will also save reminders for you when you ask Home Mini and it will offer personalized daily briefing. The judgment of sound quality depends on person to person, but I feel that the Home Mini gives a good sound quality and you will not disappoint with the sound output of the speakers. I have tested various levels of volumes and I never find any difficulties to hear or get the feel of the music. Having said that, don’t expect the pitches at 360-degrees. 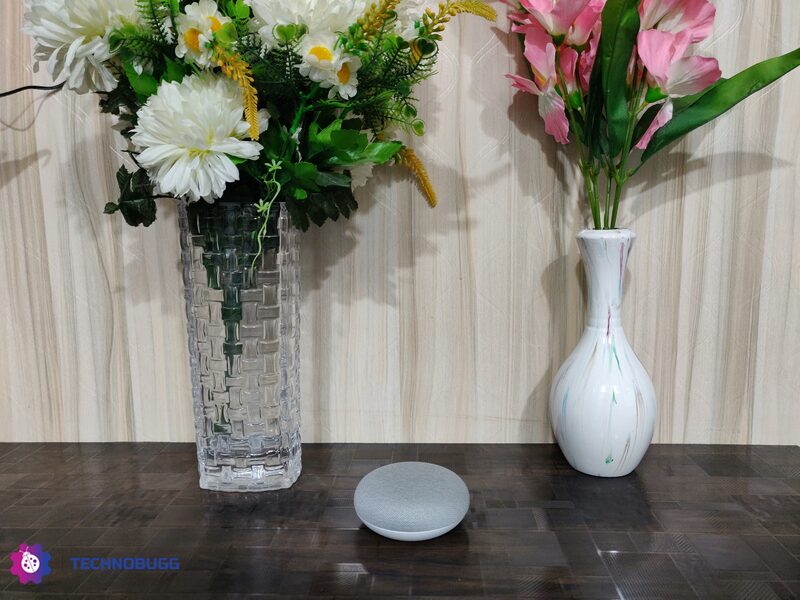 The affordable Google Home Mini smart speaker is very attractive and efficient, it can carry out your commands and it will be a perfect companion for anybody. I will recommend this product to all of you and I can guarantee you that the Google Home Mini is value for money and it will never disappoint you in terms of quality or performance.